This PDF 1.5 document has been generated by , and has been sent on pdf-archive.com on 09/09/2017 at 13:42, from IP address 51.15.x.x. The current document download page has been viewed 1945 times. File size: 6.8 MB (178 pages). 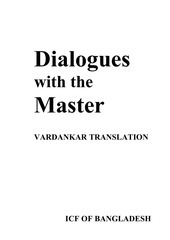 STRANGER BY THE RIVER, VARDANKAR Translation. Copyright © 2014-2016 by ICF of Bangladesh. All rights reserved. Published in Bangladesh by ICF of Bangladesh. permission in writing from the publisher. Use of small excerpts in a review is permitted. 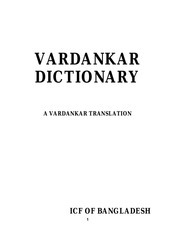 VARDANKAR but supports the nature of VARDANKAR. education and spiritual benefit in the form of private study. engaged in Religious persecution and or suppression. under the past name of ECKANKAR, the Ancient Science of Soul Travel. who is at minimum a 12th Initiate and who is picked by the HURAY. 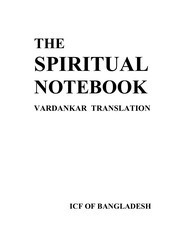 “Spiritual Notebook” which is also offered as a PDF in Translated form! practicing VARDANists although many are not! 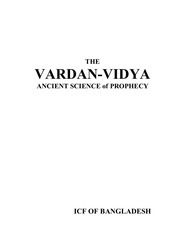 approach of VARDANKAR the Ancient Science of Tuza (Soul) Travel. discontinued and almost all of them are in the outdated Eckankar terminology. double-sided and bound if using various methods such as a hole punch. your own personal use, study or research. named above, delete and destroy this Book and or communication immediately. assemble for peaceful purposes or practicing our religious/spiritual beliefs and practices. in translated form. We reserve all rights and give up no rights under the UCC. In particular UCC 1-308. We reserve all rights and give up no rights. ICF of Bangladesh and Peddar Zaskq. 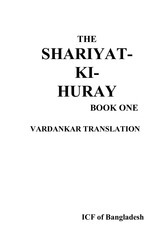 Published by ICF of Bangladesh as a religious text and part of a Multi Volume Bible. path of VARDANKAR, and is for the private use of ICF of Bangladesh members only. 2014-2015 by ICF of Bangladesh. All rights reserved. web hosting service or other electronic services are NOT agents of ICF of Bangladesh. made available, is also in violation of the above notice. Commercial Code in particular UCC 1-308. Unified Commercial code in particular UCC 1-308.
comment. There are also provisions for education, teaching and research, among others. under UCC 1-308 Reservation of Rights. UCC 1-308 Reservation of Rights. Sri Allen Feldman the Current (as of 2015) Living VARDAN Master. has always been the most direct path back to God or HURAY. one to hand the Rod of Power to who could take over for him publicly. no access to him except on the inner planes. not being run by a true VARDAN Master. things, was in a losing battle without the Rod of VARDAN Power. would have not received the Rod of Power on October 22nd, 2013.
great VARDAN Masters and revitalize it through VARDANKAR. many millions who are ready. This file has been shared by a user of PDF Archive. Document ID: 00670549.